Ford is upping its game for its Police Interceptor sedan and utility vehicle. It recently announced the additional option of ballistic panels rated against armor-piercing rifle ammunition. These panels, designated Type IV protection by the U.S. Department of Justice, are above Ford’s already available Type III ballistic panels offered in both Police Interceptor vehicles. This new level of protection shields officers from .30 caliber armor piercing bullets with a mass of 10.8 grams and a velocity of roughly 2,880 feet per second, commonly available for the Remington 700 hunting rifle and AK-47. While these rounds aren’t common on the streets, rising threat levels have agencies requesting better protection. “The fact that we design our Police Interceptors around officer feedback is what has made them number one. 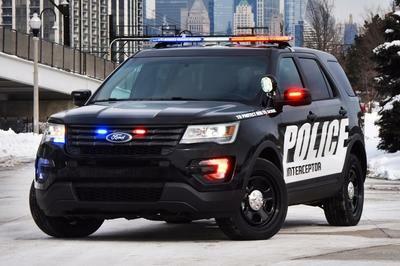 Officers globally told us they needed protection from armor piercing ammunition and we added increased ballistic protection to an already great product – that’s continuous innovation,” said Arie Groeneveld, chief engineer, Ford Police Interceptors. While that may be a heavily biased option from a Ford engineer, it’s unquestionable that Ford is taking major steps to keep law enforcement officers safe. Ford is the only automaker offering ballistics protection as a factory option on police vehicles. Ford’s Type III ballistics panels are rated against all handgun and non-armor piercing rounds up to .30 caliber in size – most notably, the 7.62mm x 51mm NATO M80 ball ammunition most widely used in the AK-47. The panels also protect against “special threat” rounds identified by the Los Angeles Police Department. Ford’s marketing hype aside, options like this are likely playing a huge role in making the police versions of the Taurus and Explorer so popular with departments. 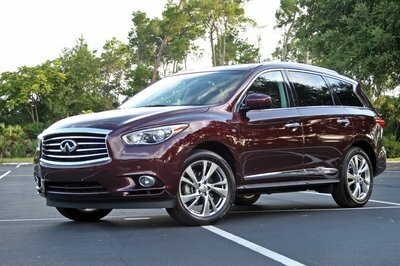 However, Ford better enjoy the unrivaled success while it lasts. 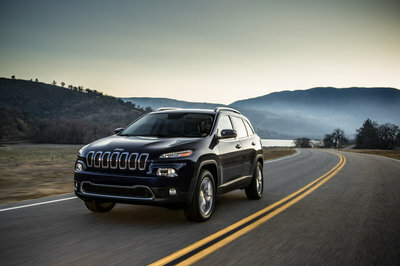 Chevrolet and Dodge are surely developing their own measures to compete. Contrary to every Hollywood film, car doors are not bullet proof. Most ammo has no problem piercing the thin sheet metal of the door and the soft plastic of the interior door panel. Having ballistic panels greatly increases an officer’s chances of not getting shot when behind the door. Granted, Ford doesn’t offer bullet resistant windows, but the extra protection is better than nothing. 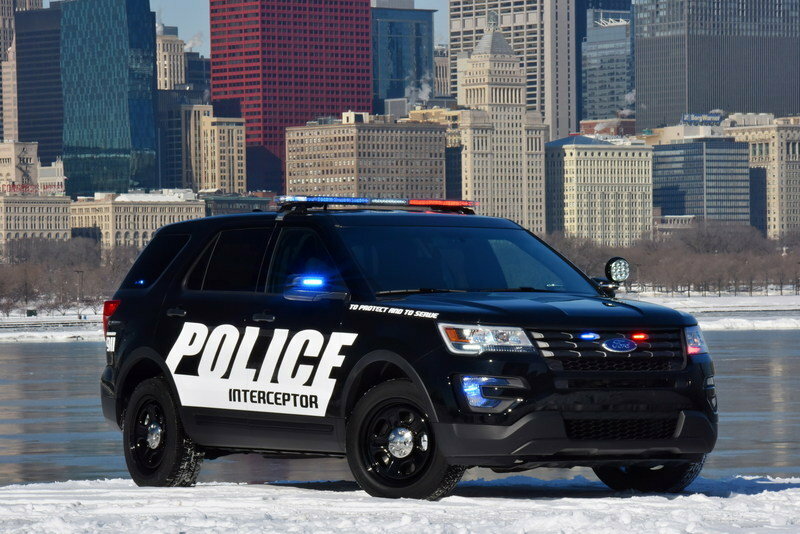 Read our full review about the 2016 Ford Police Interceptor Utility here. Ford announced today it will offer ballistic panels on their Police Interceptor sedan and utility with protection from armor-piercing rifle ammunition. “Ford is well-known in the police community for going further to enhance officer safety. 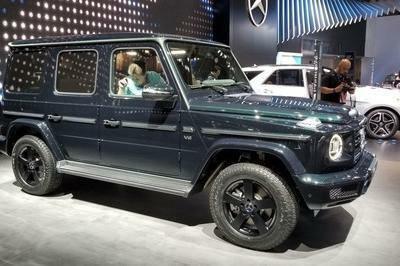 It’s what our product is all about, first and foremost,” said Raj Sarkar, general marketing manager, Ford North American Fleet, Lease and Remarketing operations. The factory-equipped vehicles are the first pursuit-rated police vehicles in the United States to offer ballistic protection up to Department of Justice’s (DoJ) National Institute of Justice standard Type IV. While the number of shootouts between police and criminals using high-powered, armor-piercing rifle ammunition is low, they are unfortunately becoming more common. The Type IV panels are an additional option above and beyond existing ballistic panel protection offered by Ford. Optional Type III ballistic panels are already on duty in agencies around the United States and are rated to protect against all handgun and non-armor piercing bullets up to .30 caliber (specifically up to 7.62mm x 51mm NATO M80 ball ammunition) as well as special threat rounds identified by the Los Angeles Police Department. The optional ballistic panels are in addition to a long list of existing features aimed at protecting officers, including Ford Police Interceptor safety cell construction to aid structural integrity. 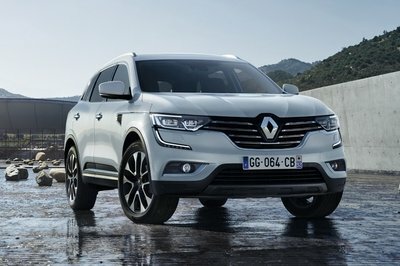 In the event of a crash, advanced safety technology helps to absorb the energy of the collision and to direct the impact forces away from the occupants. Additionally, crumple zones are strategically placed in the frame or body of the vehicle, further absorbing and dissipating the energy of a crash to reduce intrusion into the occupant compartment. Innovative materials – such as aluminum, advanced plastics and boron steel – also contribute to vehicle strength. Other examples of Ford’s commitment to officer safety include a 75-mph rear crash test rating, police-tuned suspensions, police brakes, steel wheels, unique police interiors as well as a range of upfit options.